Wrinkle free women's clothing is a perfect solution for travelers, busy moms, and students sans irons. Any woman wearing standard-processed linen or cotton in hot weather can run into wrinkling issues by the end of the day. Creased clothes are often awkward and unprofessional, but fortunately, there are plenty of stylish options from trusted retailers to make your life easier. What Makes Clothing Wrinkle Free? Some brands of wrinkle free women's clothing are the real deal, but there are plenty of styles that simply won't perform as expected. Here's how to determine if an item will pass the test. Check if the brand is reputable. See below for a list of reputable brands and stores that sell quality wrinkle free clothing. Shop at travel stores for recommended brands that combine tech fabrics with breathable bases like cotton. Know that linen is not the enemy. When combined with other fabrics, it can be an easily packable solution that can be tucked away into your suitcases or dresser drawers without worry. Check the label for Nano-Tex or special finishing agents that help your clothes repel wrinkles. Any stretchy material such as Lycra, Elastane, and Spandex all are crease free, and when blended with cotton, make for a super-smooth look. There are plenty of places women can find easy care clothing items that resist wrinkles. The following stores stand out for having collections or items designed to be crease free. Their Pinpoint Oxford cotton dress shirt (about $50) has excellent reviews, and with its blue pinstripe detailing, it's definitely office appropriate. This shirt stays wrinkle free all day, and stays smooth without ironing, due to its taped seams. It's also specially treated to resist wrinkles, and it comes in sizes XXS-XL in misses', petite, and women's. L.L.Bean also offers this chic classic polo t-shirt that is made to withstand wrinkles, pilling, and shrinking, due to its premium long-staple cotton in honeycomb knit. This polo comes in seven colors, and it is versatile enough to go with everything. They are priced at about $30 and are available in sizes XS-XL in both misses' and women's. Talbots isn't scared of a little color with this paradise green sleeveless crisp top, sold for about $30. This item has wrinkle proof cotton and spandex materials for a stylish look. This mint green beauty comes in sizes 2-20 in misses', petite, and women's. Wear in the summer, or wear in the winter under a blazer when the office is known to be on the warmer side. Talbots is also known to produce a sassy print. This paisley printed top (also about $30) is similar to their mint green one and it also contains a freefit material to reduce wrinkles. With its 5 star reviews and availability in sizes 2-16 in misses', petite, and women's, this shirt is truly for everyone. 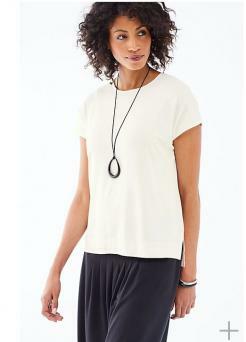 This no-iron style white Easy High Low Tunic, made with cotton and Lycra, is a must have at just under $90. This wrinkle free tunic is perfect for the beach, a lunch date with the girls, or a dressier night out. It's available in both regular and petite sizes in a wide range of sizes from 00 to 22. Chico's also boasts this wrinkle-resistant button back shirt, that puts a modern twist on an original classic. This shirt is a popular option from Chico's and is also available for about $90. It comes in sizes 00 to 22. Made with a no-iron fabric, this shirt is sure to be as easy to wear and care for as it looks. Try this simple, yet sophisticated, wrinkle proof ponte knit a-line dress in both blue and gray colors. TravelSmith chalks this dress up to having cling free, wrinkle resistant materials, such as rayon, nylon, and spandex. Priced at about $75 it's perfect for casual wear or the office with a blazer thrown over it and a simple pump. For a look that's both stylish and comfortable, TravelSmith has this adorable microfiber tunic. This loose fitting simply chic top comes in sizes petite, misses', and plus, in S-XL. Available for about $70, this tunic also has a UPF50+ sun protection factor, and it also comes in an astonishing 23 colors. Stock up on a few and wear with black leggings for an easy, breezy look. Because this company caters to those who travel, they know a thing or two about crease resistant fabrics with their microfiber options. Craving comfort? J.Jill has tons of relaxed style clothing that is wrinkle free, like these black pleated wide leg pants made of Lycra and rayon for zero wrinkles. These pants come in sizes XS-XL in misses', petite, women's, and tall for about $90. Also made of Lycra and rayon for virtually no wrinkles is this easy, flowy Wearever Short Sleeve Top. Pair this top with the previously mentioned wide leg pants for a complete look. This top retails for about $60 and comes in sizes XS-XL in misses', petite, and women's. This oxford stretch cotton non-iron dress shirt, sold for just under $100, is fitted so you can look extra tailored for your meetings. Its fabric is made to specifically resist wrinkles, and it comes in four wonderful colors: sky blue, black, soft pink, and white. It's offered in sizes 0-16 regular and petite. Their non-iron white frill shirt, about $120, is a fun take on an otherwise simple work shirt. It's made of the same non-iron materials as their oxford shirt and comes in the same inclusive sizing. This sleek tailored ankle pant comes in light khaki, nubuck, and black, for just under $99. It comes in a vast array of sizes including 4-20. With its 5 star reviews, you can see why so many people are recommending this product. Match the above ankle pants with this sharp oxford shirt in either pink, blue, or white for about $80. It comes in sizes 4 -20. This shirt and the pants are both made of Orvis's wrinkle free cotton. Their Skyler Skinny Pant is comfortable, breathable, figure-flattering, and made with polyamide and Elastane to stay smooth all day. This pant retails for about $225 and comes in eight colors, so it is okay if this becomes your new favorite pant. It comes in sizes in XS-L.
Anatomie also sells stylish wrinkle proof mesh tanks that pair excellent with their contrast panel leggings. These items are available in sizes XS-L, and they come in three different colors, so gym gals and moms can look trendy at all times. Their prices are on the higher side, but you get what you pay for, and with Anatomie you get versatile and modern clothes. Wrinkle free clothing only stays that way when you treat it right. Avoid packing your dresser drawer full of stuff. A jam-packed draw only exacerbates potential crinkles, even if your clothes are wrinkle free, you don't want to purposefully overload them into a tiny drawer. While it might seem counterproductive, some items are best packaged tightly in your suitcase or closet. Lightweight items can be folded flat for the best effect. Be cautious of collars when packing and always make sure things lay flat. It's okay to fit as many wrinkle free dresses as you can in your closet, as they often do well when tightly packed together. Some packing tips will instruct you to roll suit jackets, but plastic will reduce the level of friction between important items. Pick up a couple of those plastic garment bags at your local dry cleaners. Remove your clothes immediately after they are done washing, use a gentle spin cycle, and hang dry all of your wrinkle resistant clothes. Once dry, they will stay true to their name and be totally wrinkle free. 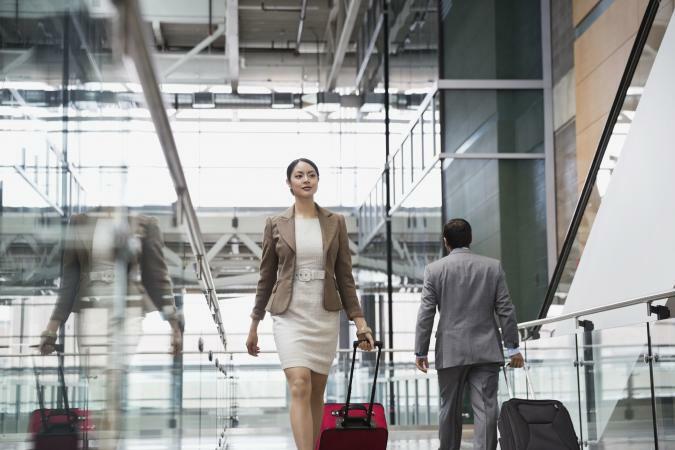 Wrinkle free clothes are definitely a great replacement for everyday clothes when you are flying, have a big meeting, or simply when you know you have a ton of running around to do. It's important to look your best during that big meeting, and it's nice to look chic coming off an airplane when your loved one sees you for the first time in a while. The point is, this type of easy care clothing is made so chic and stylish now that you will actually get excited to put on that no-iron blouse!